Spanish Graffiti: While studying abroad in Salamanca, Spain and traveling throughout the country, I noticed a significant amount of graffiti. I learned in my Spanish political history class that since Francisco Franco’s leadership in 1939, graffiti was and continues to be significant form of political expression in Spain. It often demonstrates political movements over the past several decades, such as fascism, marxism, anarchy, regional independence within Spain, gay rights, and world peace. Since 2008, cities like Madrid have funded graffiti artists to paint unattractive buildings to improve the cities’ appearance and influence the community with their messages. Ann Arbor Graffiti Alley: Originally a mural created by artist Katherine Cost in 1999, titled “Infinite Possibilities,” the graffiti alley in Ann Arbor, Michigan has turned into a haven for graffiti artists and musicians. Visitors can get a taste of recent Ann Arbor and University of Michigan history and current hot topics expressed on the walls. At the same time, they will also hear tunes played by local artists, as the alley is known for good acoustics. 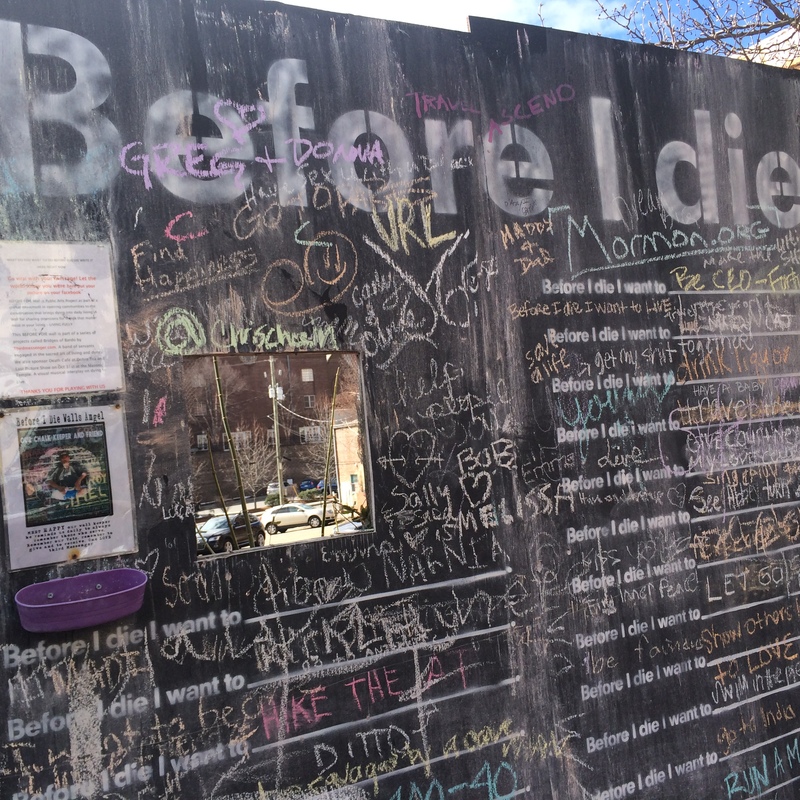 Before I Die: A global public art project created by New Orleans artist Candy Chang, I first saw a Before I Die wall in Asheville, North Carolina. 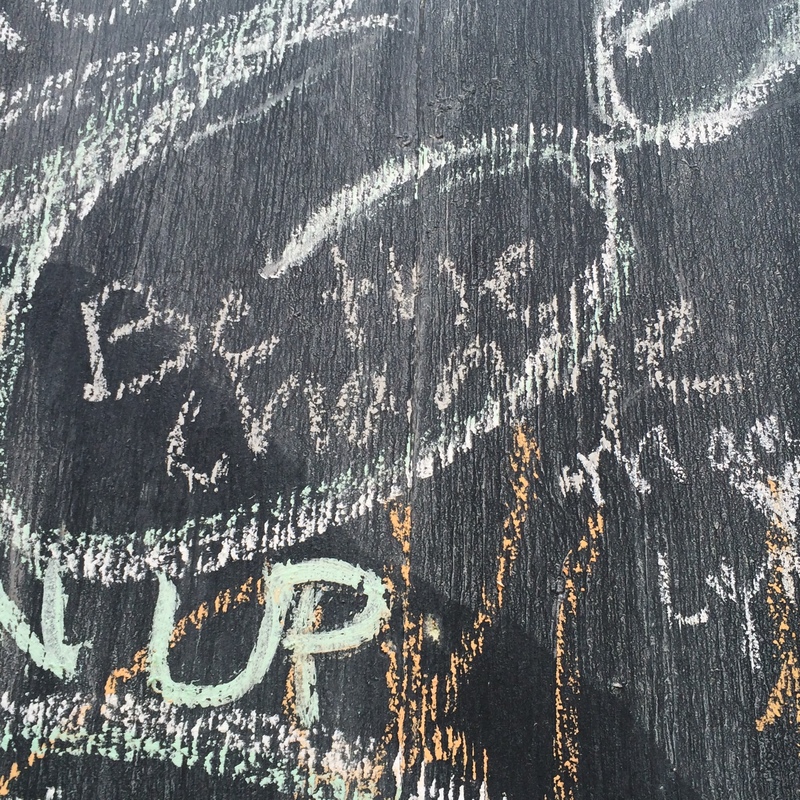 As a simple mural with chalk, anyone and everyone can write their wishes and “bucket list” items on the wall. Chang created this concept after she lost someone she loved. Her intention was to create a daily reminder about what was important to the people around her. Her idea has sparked the building of 550 walls in over 70 countries in 35 languages. 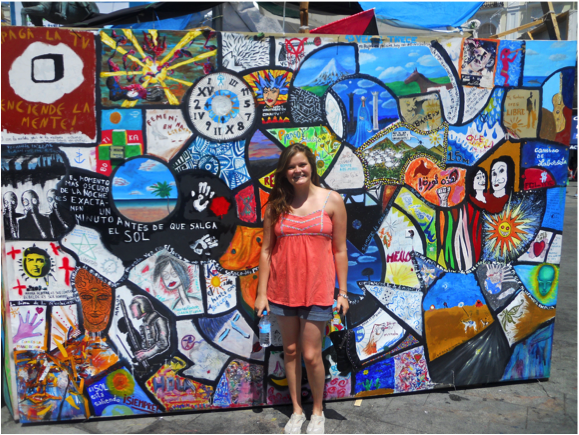 While in Asheville, it was inspiring to learn about the priorities and dreams of the community expressed on the wall. Here’s what I wrote in Asheville! Next time you are exploring your local community or are traveling, I recommend that you seek out the urban art to learn more about the destination’s past, present, and future. You may be surprised to learn new insights about the unique heritage and character of the destination!